Yep! I changed the look of the site. I noticed that if I clicked off the main blog page, I couldn’t get back; so, I changed to the “skin” you see now. Let me know if you like it. My mom, aunt, and uncle also were in town. Check out the previous post for more info about that. Kirk went to Chicago for work Thursday and was home Friday evening. Saturday morning, Zoe decided to sleep in to (gasp!) 8 AM!! 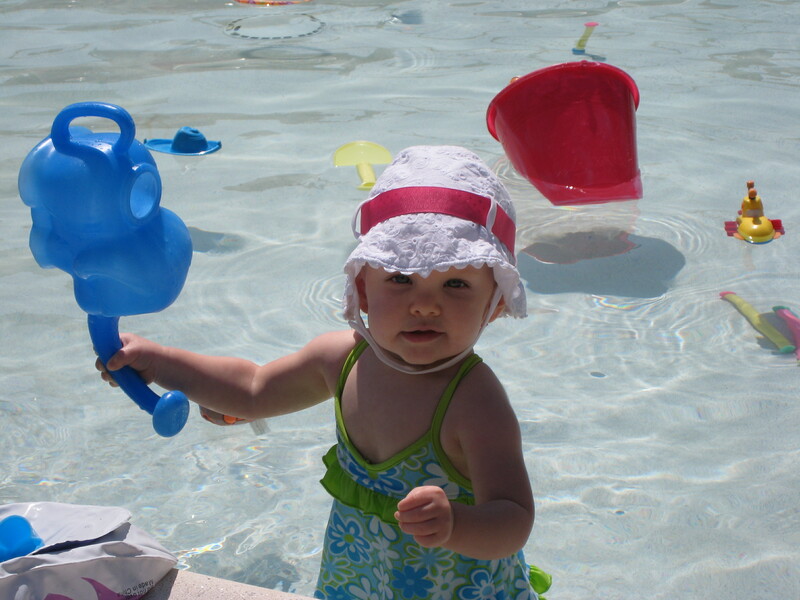 It was wonderful sleeping in, and since she slept in as well, we skipped her morning nap and went to the pool instead. 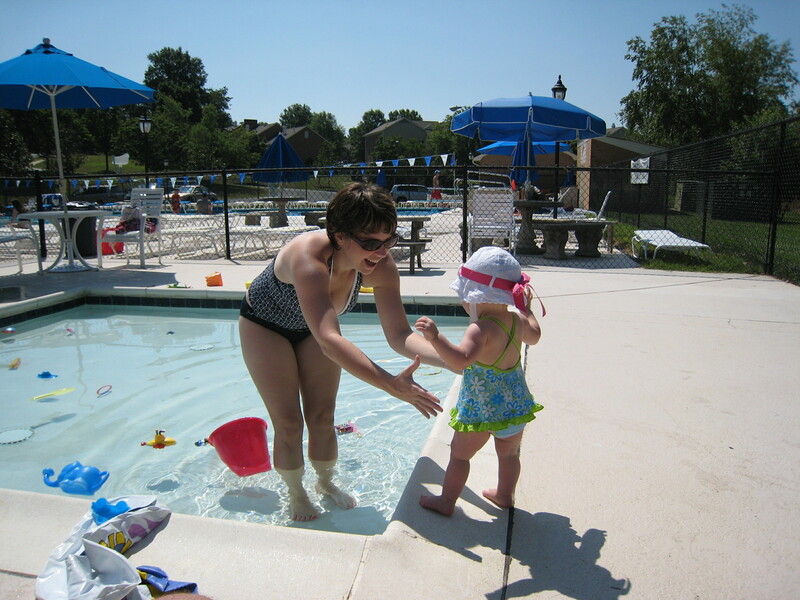 Amy ready to catch Zoe as she “jumps” into the baby pool. Zoe shows off the elephant watering can. 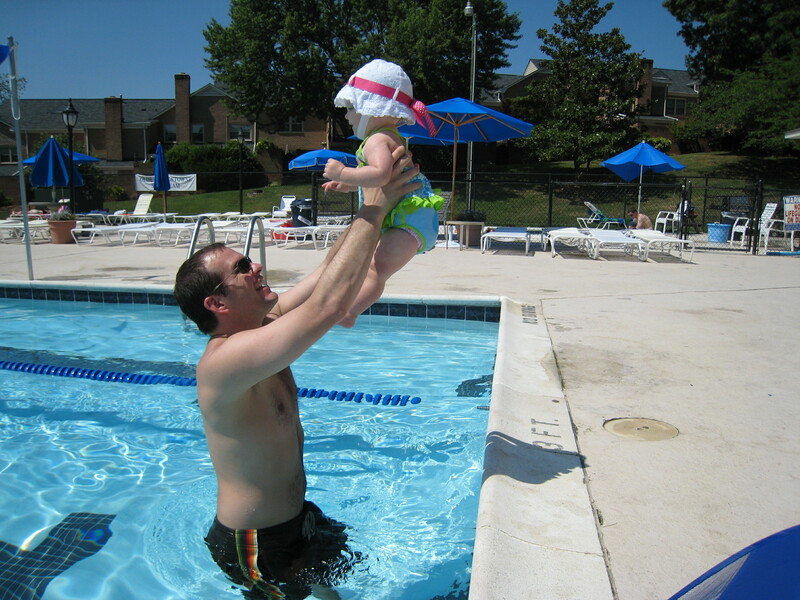 Kirk and Zoe playing in the “big” pool. 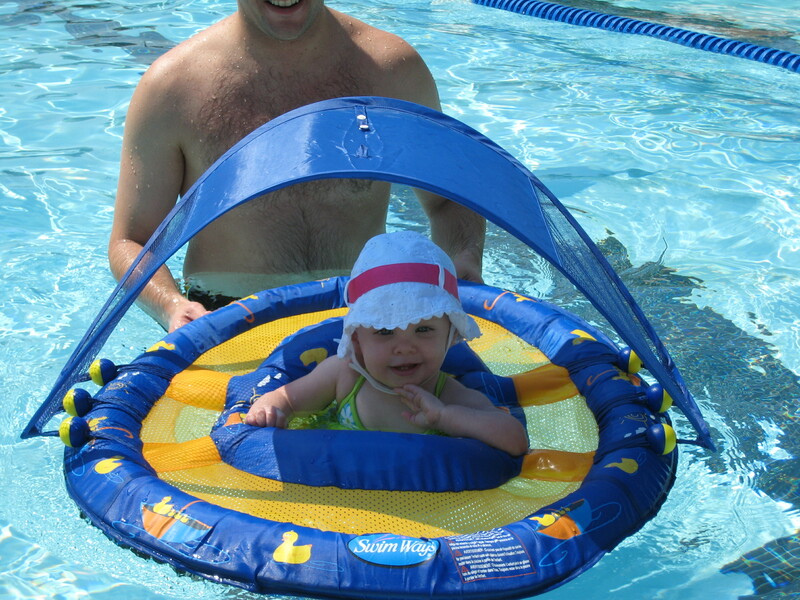 Zoe hangs out in her float. Because of the way the float is made, I can use her float as a kickboard. Zoe loves motoring up and down the pool watching everyone as I do a little bit of kick work!